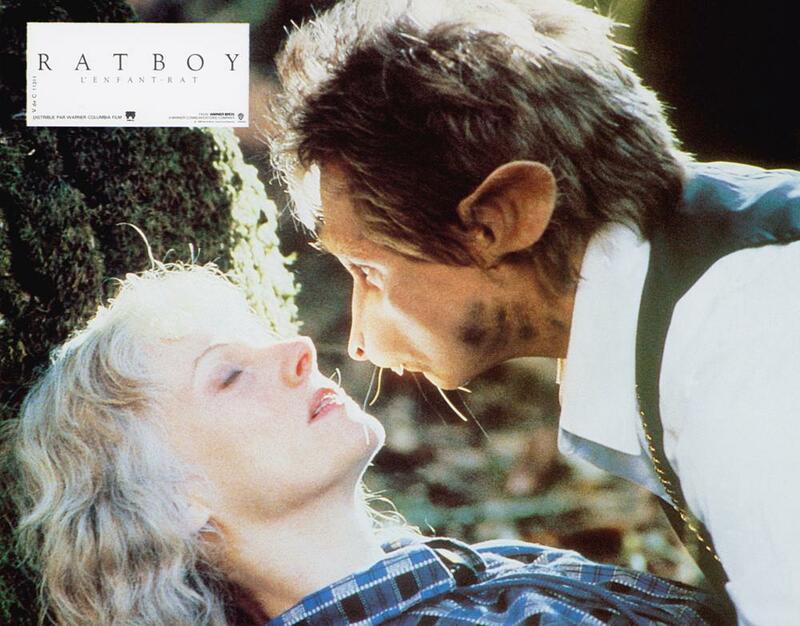 Actress/director Sondra Locke dishes on her fascinating 1986 film RATBOY. 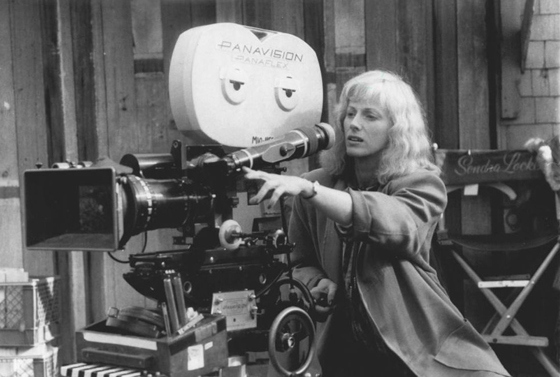 As well as being an incredibly soulful and captivating acclaimed actress, Sondra Locke had the makings of becoming one of cinemas most interesting film makers and auteurs. Her directorial effort RATBOY, an alluring oddity that drifts between urban freak show and allegorical adult fairy tale, is proof of that. The drama that unfolded in relation to RATBOY being made and marketed is a thing of legend, and now, Sondra Locke talks to SHOCK to set the record straight on the film and how the much lauded Clint Eastwood made it a rocky road for her rodent rogue. SHOCK: RATBOY is an incredibly charming film, I really love its commentary on difference and the idea of commodity as art or celebrity  how did you come across the story and how did it all come to fruition? LOCKE: You know, I expressed an interest to direct and so I spoke to Bobbi Thompson, who represented directors. She sent me this script. And, she sent it to me only as a writing sample of this one writer, who she thought I would like because he was very quirky and everything. I read it and said, Yes, I do like it. And I want to make this! Which surprised her because she had sent it with that thought that I would want to make it. I really didnt know if Warners would agree to make it because honestly, it was not a Warners film. It is not a Warners type film at all, which was one of the problems. I expected to have to take it around elsewhere. It was just before the independent market, really. There was not the independent market at that time. But, it was a film that should have been in the independent market which did not exist. So, I took it to Warners and they agreed to make it! And partly because Clint said, Oh, yeah. You should make it, to be perfectly honest. But then of course, everything went crazy. SHOCK: What were your first initial ideas for the direction of RATBOY? LOCKE: Well, one of my favourite tones in a film is dark comedy. I love comedy that seems kind of a little bit absurd. You know, it is a little surreal. It is either based on parody or its got this dark side to it. That is how I saw this piece. I saw this piece as a real, dark portrait in a way of Hollywood and the commercial world in general. And, yet at the same time I wanted to take a slightly comedic approach to it. It just fit the bill. I love fairy tales. Its kind of a grown up fairy tale of the absurd. So, that is the way that I envisioned it. And, then I started casting. SHOCK: What were the biggest challenges facing you having to direct as well as star in the film? LOCKE: Well, I just think I was a little blasé about acting, by that time. So, I didnt view the character of Nikki as being difficult at all. I just thought, Well, I can do that well with my hands tied. So, I didnt see it as too equally difficult jobs. So, my focus all along, for good or for bad, was on the directing and the acting just kind of, you know, happened. It was an advantage to some degree cause Nikkis character is really the voice of the movie. And so, she is the one to kind of takes it totally. And pace wise and story-wise, where it wants to go  where it should go. And so I felt it was kind of like directing from the inside. Thats kind of the way I used the situation, which was a challenge. It was a challenge from the point of view of time. How much time do you have to be able to do those shots. SHOCK: What was it like working with Rick Baker? Were you happy with the end results for the design of Ratboy? LOCKE: Yeah. I was, I mean, given the limitations we had at that time. 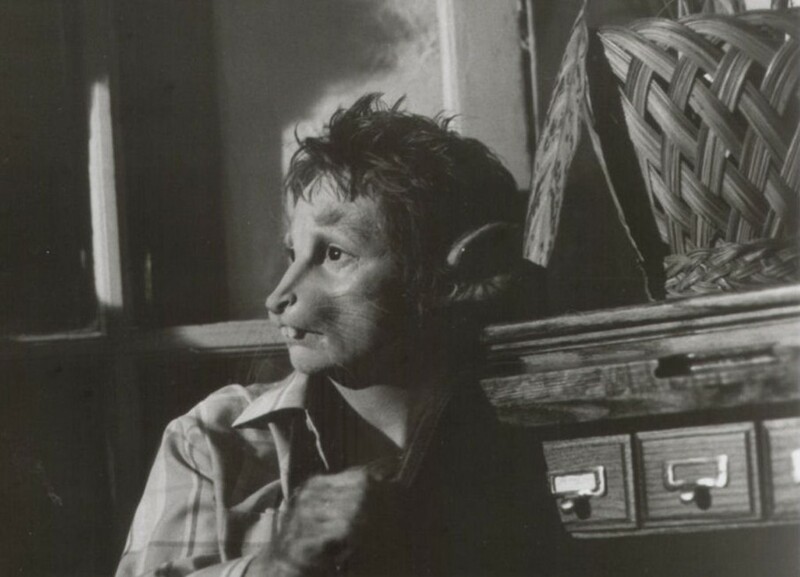 I think about it occasionally when I see some of the incredible CGI stuff today and you know, how we could have invented the perfect RATBOY today. Whereas then, we were really limited by these prosthetics and we couldnt really automate him to make his ears move around or certain things like his nose, you know. Certain things that we were never really able to do. But, I think the look of the character, I was very happy with the look of the character. Rick (Baker) was fantastic! He was always open for any input, he was very easy going. He was fun to work with. He enjoyed what he was doing and he was not at all a prima donna about it. Well that is true except he became a pretty big star because he was a special effects make-up artist. It was a big deal, but you would never know it. And believe me, I have met so many people who absolutely have no reason to feel important and they do! SHOCK: Was the original concept of the film to be far darker in tone? LOCKE: Well Id like to leave it a little darker but not leaping ahead into what I encountered. I had a lot of changes in the script that I wanted to make to make it a little darker, a little sadder, a little, you know, harder on all characters but I was really not allowed to do so. The one thing about the film that I hated was the whole cops and robbers chase thing. I did not want that in the film. I really did everything I could to get it eliminated but I was not allowed to do so. So, yes, the answer to that question is yes. It would have been a little deeper, I think, if I could have done everything I wanted to do. SHOCK: You direction is sharp and very focused, and I love how much time you take to delve into the loneliness and sadness of Ratboy, as well as the oddball humor that permeates the film  were you interested in truly making an allegorical fairytale of sorts, or did you play around with other ideas, possibly giving the film a more abstract and more dreamlike structure? LOCKE: Well, you know, it is compromised to begin with because of the visually because of the production value that I felt I felt I was robbed of the production values, but in the locations and sets and things like that. But, most of it, I mean a lot of it, you know, I was able to do. I wanted to get that old downtown L.A thing in there. And with a huge old theatre. I saw it as a colourful film that had like a loneliness about it, despite the colour. And sort of like the party. I love the section of the film where Ratboy escapes from the party and then he is alone and lonely. That is really my favourite part in the film. Right up until she finds him. And that may be my favourite scene in the film, where she finally finds him towards the end and talks with him, you know, sort of pours her heart out and apologises for who she had been. I love those bottles where you blow bubbles with the little ring. And so, I have always loved that from childhood. There is just something about it that takes me away, I dont know why, but it is something that has always been with me. So, I put that in there. It is sort of a little touch of magic. And right down to the lonely sequence where you think he has drowned in water. I wanted it to get a little bluer as it went towards the end of the movie and then sparkle again when his feet where we see the little sparkle in the tree when he is quote unquote dying. So, you know, I tried to make it both very colourful to blueish during that period of time. It is very golden in the beginning. And through the downtown L.A – the glamour and the glitz- kind of gold. And then get it a little blue when he escapes and is all alone. Then just perk it up again. It was a tricky kind of story to end, cause, how do you end that story? SHOCK: How was the film received and what was the general reception? LOCKE: Well, just to be completely open about it, from the get-go, it was never a requirement from Warner Bros that Clints company go on as producer. I begged Clint not to be involved, from the get-go because I just felt that our personal relationship was such that somehow there was going to be a problem. And directors and producers are at odds a lot and in this case it was compounded by the fact that in hindsight and now, that it become clear to me, I believe, that he really did not want me to direct. The dynamic of our relationship entirely shifted. He had been the director and I was the actor. You know, he was the one in charge. And I think that he just did not want me to direct. And I said to him, You know, it really would not be in my best interest, I think, if you come on. Well, Im not gonna put my name on it! And of course that was rather a joke cause he put Malpaso on there and that is like putting his name on it. So, not only did he put his name on it but then also, he felt that he was in a position to tell me what to do all the time. Im a great collaborator. I really am. I will steal anyones idea, if it is a good one (laughs). But, I dont like being treated like a child. And to be told things like, that I have to do  their way or the highway!, particularly when it is something that is not going to make a regular film. It is not a budget issue. It is not any issue that a producer needs to get into, like cast a part, unless it is an actor that is required by the bank to be cast. If it is not a requirement by financial reasons and is not a problem in the financial department with regards to this actor?, it should be the directors choice. Or, for instance, I was not even allowed to use locations that I wanted to use in the film, particularly the location that was the home of Nicky and her brothers, I had this incredibly old, run-down house that you could see their history right away; that the family had had money and now they had no money and she was scrambling and the gardens were fantastic but they were overgrown. There was this whole sense of loss, you know. History gone by. So you were set up right away to know. And I also wanted to turn one of the brothers, I wanted to completely re-write the brothers role because they were just too dull for me. They needed to contribute just a little bit more, even though I thought the actors had done as good a job as they could. But, there were re-writes in the script I wanted, and I was not allowed to do it. I was not allowed to use locations that I wanted even though that they cost no more as the locations that I was forced to take! So, there were many things about the film that you know, break my heart to this day. And, particularly when I was getting my shot to direct, that it could not in the end be my film, you know, within reason. Im a reasonable person. If there were some real reason that I couldnt or shouldnt or this or that, you know, Im all in. But, you know, as I just described, it was not about that. I think it was about sabotage. I just felt sabotaged every time I turned around. And then of course, the film opened at the film festivals in Europe and did really well. But then, Warners hadnt opened it at all. I think it was for maybe a week in two theaters or something. They didnt know what to do with it, to be fair to them. And secondly, they didnt want to figure out what to do with it because Clint didnt want to do anything with it. So, you know, it was a baby that got hit in the crossfire and its sad. But, Im proud of it and even today there are a lot of cult followers of that film. So, I am happy that it has some life. We share our excitement when Warners finally released it on DVD after all this time! I think they didnt take it in a superficial way. They got the undertones; kind of what the film was trying to say and at the same time it was trying to be entertaining. I think it was probably just, I dont know. I think I just like European films more than I have American films. And maybe there is just something in me that would make it that way. I dont know. But I dont think the Americans had much of a chance either, because there was no Sundance, and Warners of course wasnt trying to help the film because of Clint/me battle that was beginning at that very time. And so it just got lost on/for the American people. I really dont want to unfairly judge them for it (laughs), but it probably by because I directed it, it probably had a European feel to it. Sort of my sensibility. SHOCK: What are you most proud of with RATBOY? I dont know. I guess it would just be sections of the film where I feel were successful. I havent watched it in years because I dont really like to look at my films. I took out IMPULSE recently and watched it again. I cant remember what forced me to do it but I had not seen it since it was released. So, I dont like to look at my work because I just shudder but there were parts in/of that film that I felt very happy about and warm. You know, and then I would turn right around in a section of the film that I didnt even want to be there and I wasnt allowed to have this or that. All I could see was what was wrong with it. Then I would just shudder and fast forward. But, I dont know. All in all, I guess I have to say I am proud of the fact that I actually managed to get it made given all that was going on! Yeah. And anything about it reflected me. Because I feared with all the limitations, the drama I was dealing with that there would be absolutely nothing of me in the film by the time it was done, and yet, I can still see me in it. So, I am happy about that!